As the Monday trade deadline fast approaches, the Red Sox are involved in a bevy of rumored deals. 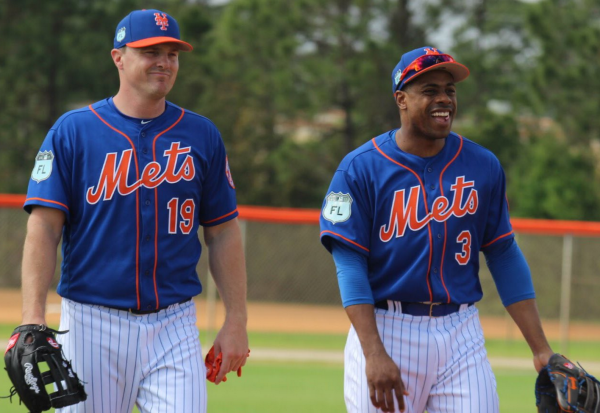 One which could make some sense is their acquisition of either Curtis Granderson (.223 with 13 home runs and 37 RBIs ) or Jay Bruce (.262 with 25 home runs and 67 RBIs) as DH/1B/OF help. It's not clear what type of package would need to go back to Flushing, but luxury tax issues would likely require the Metropolitans to eat some salary. Other deals are in the works to acquire another relief arm—some closer to fruition than others. Stay tuned!